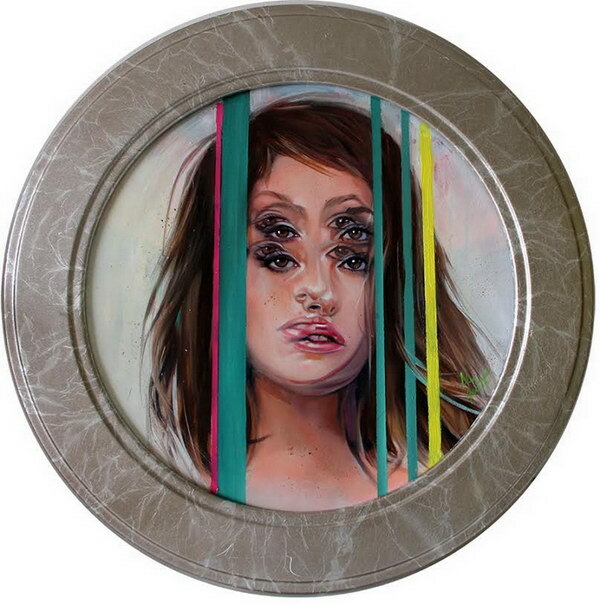 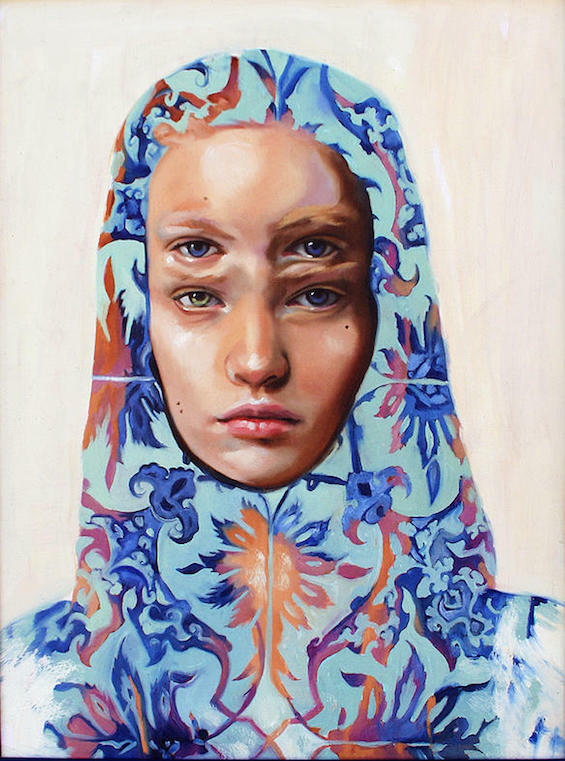 Paintings by Alex Garant: Alex Garant is a Canadian pop surreal artist who is quite popular among the artworld. 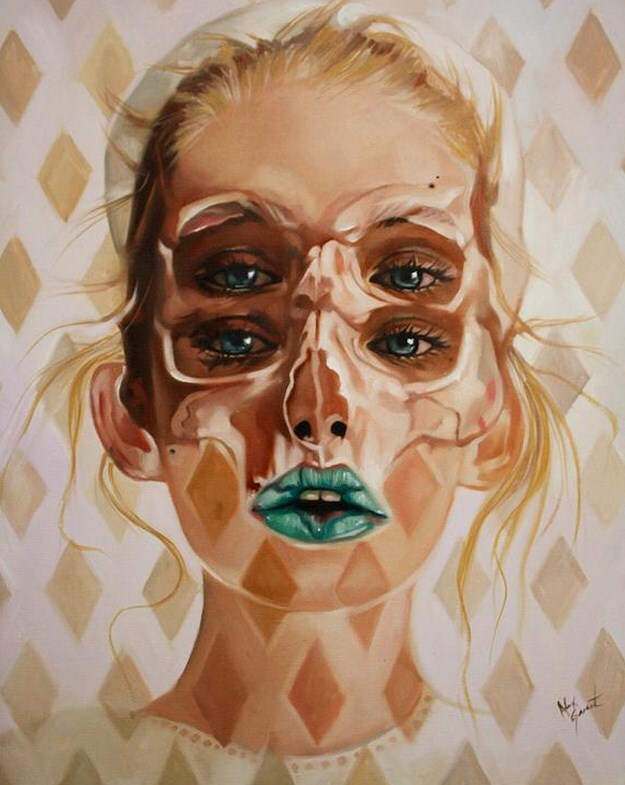 Her double exposure paintings have won her many laurels and recognition. 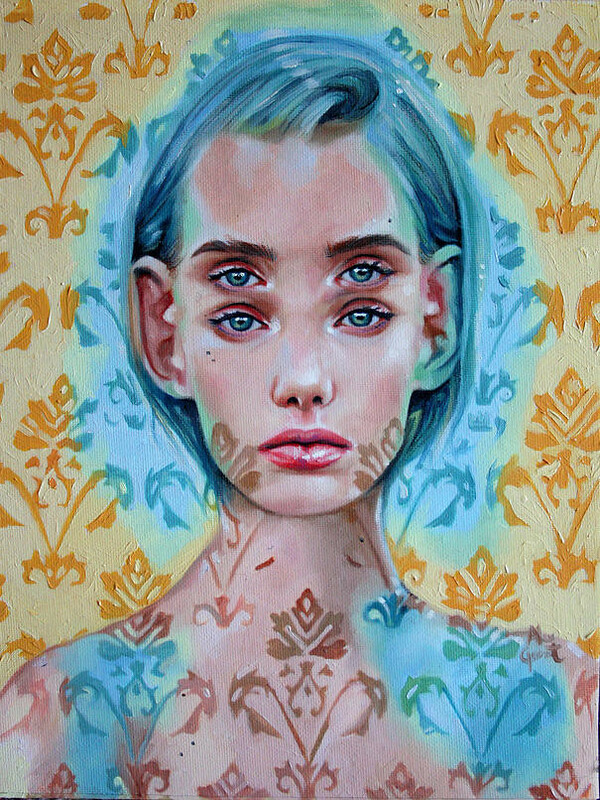 Alex Garant uses duplication of elements, patterns, image super position and symmetry as important elements in her paintings. 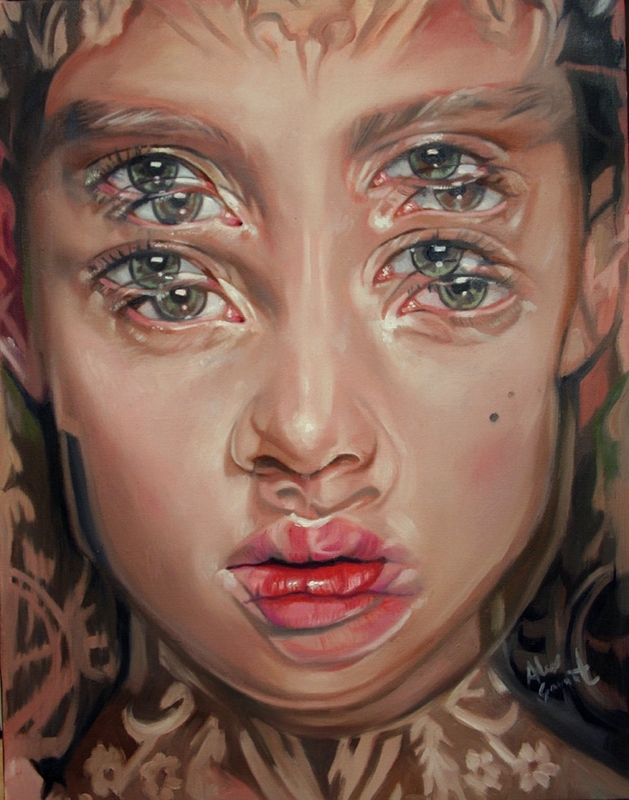 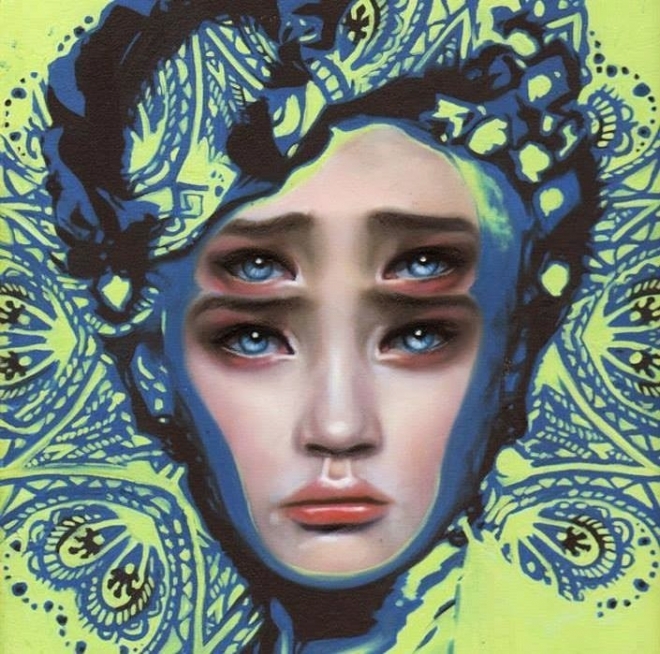 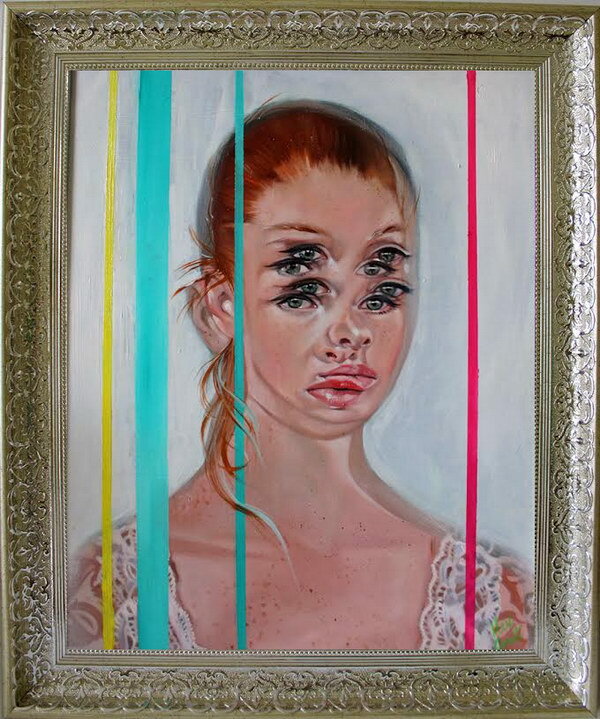 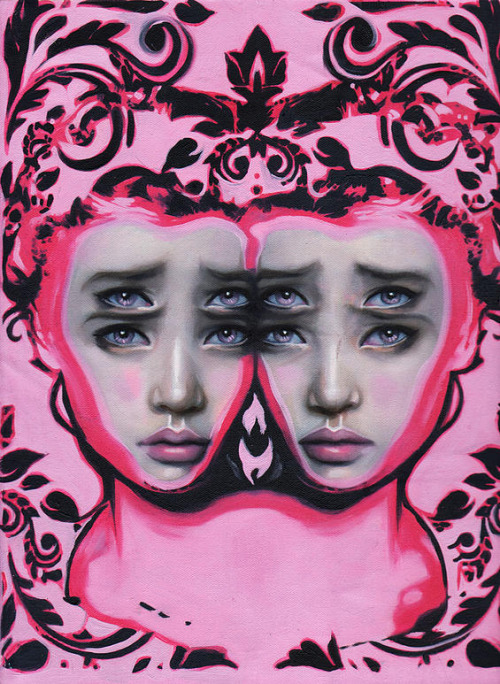 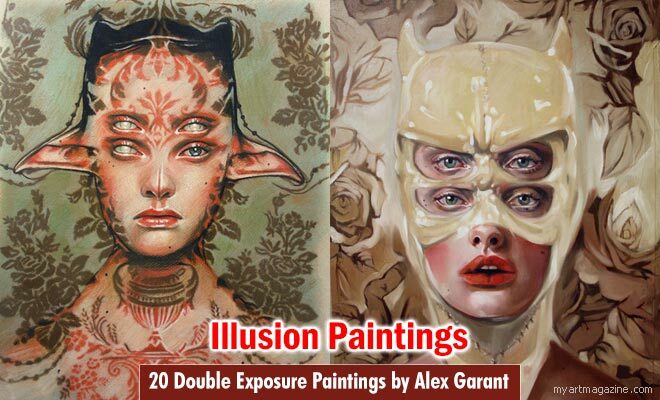 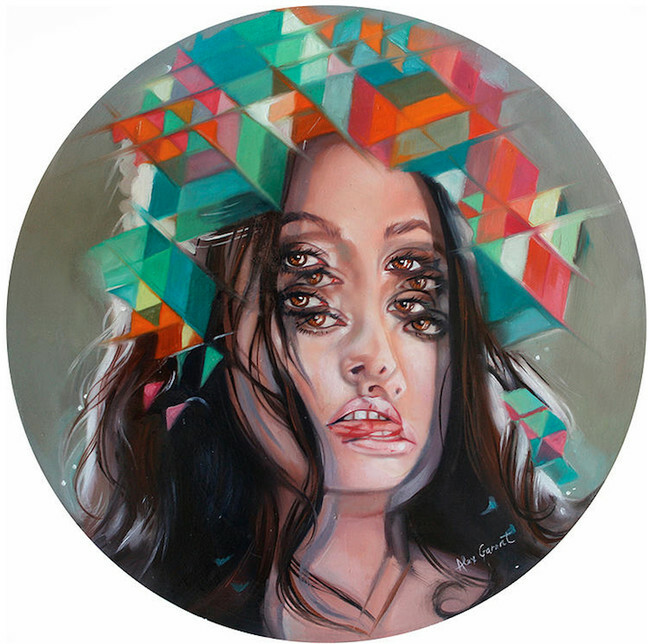 Most of her paintings have double or even triple pair of blurry eyes, and it can take quite a toll on your eyesight.In this post we have included 20 Double Exposure Paintings by Alex Garant for your inspiration. 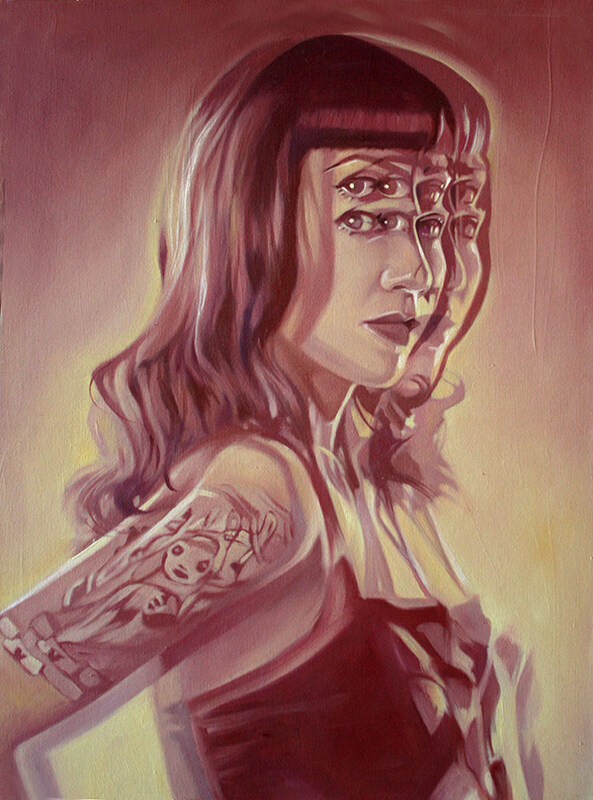 Her latest series in double exposure paintings is known as "Queen of Double eyes" and it's pretty difficult to see the face of the subject in this particular series. 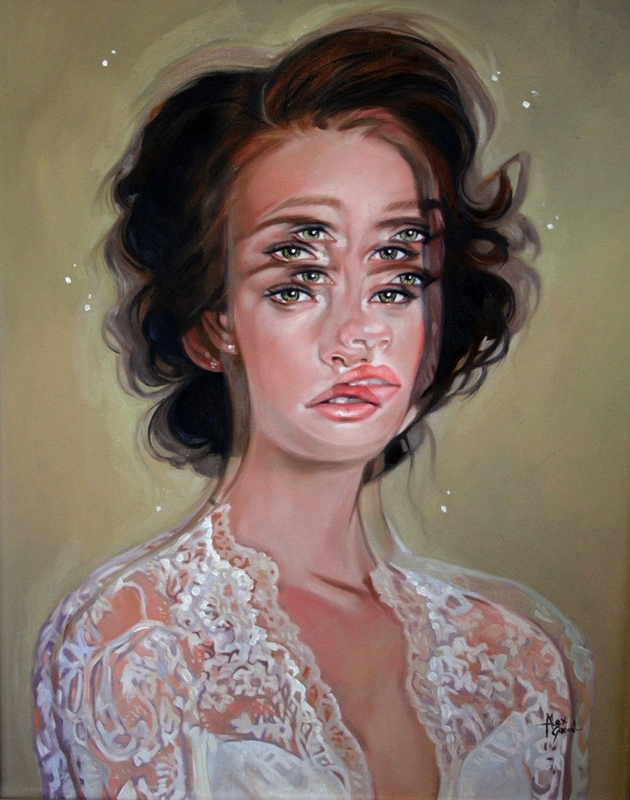 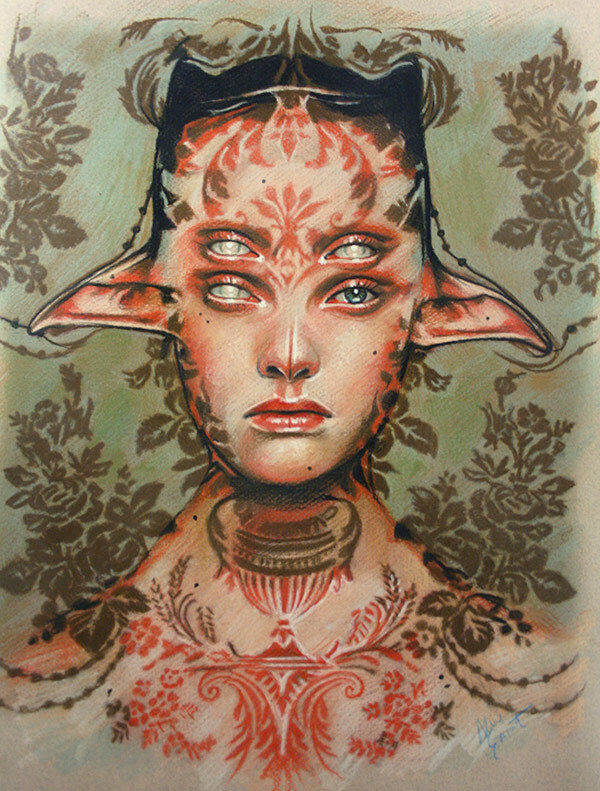 Queen of Double eyes might be a funny name, but you will understand why she is called so, when you have a look at her double exposure paintings. 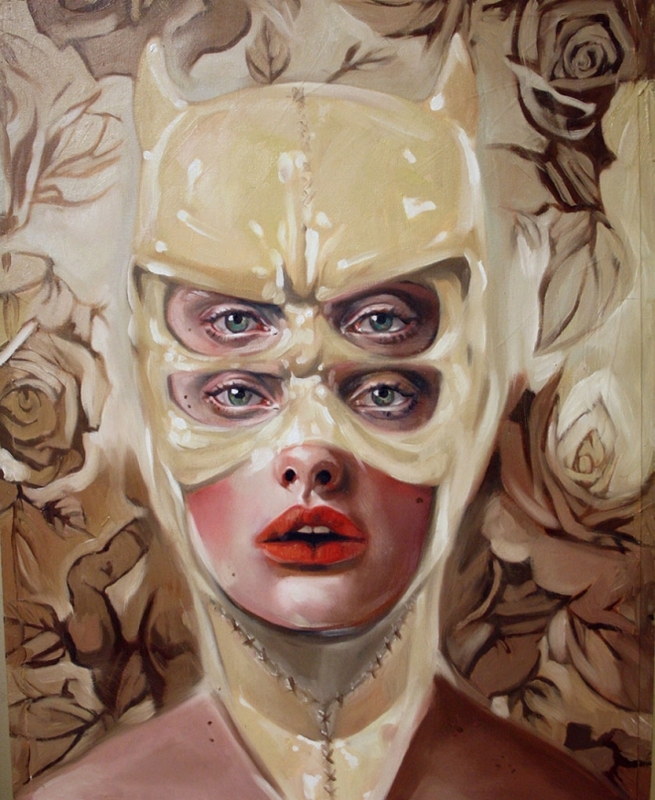 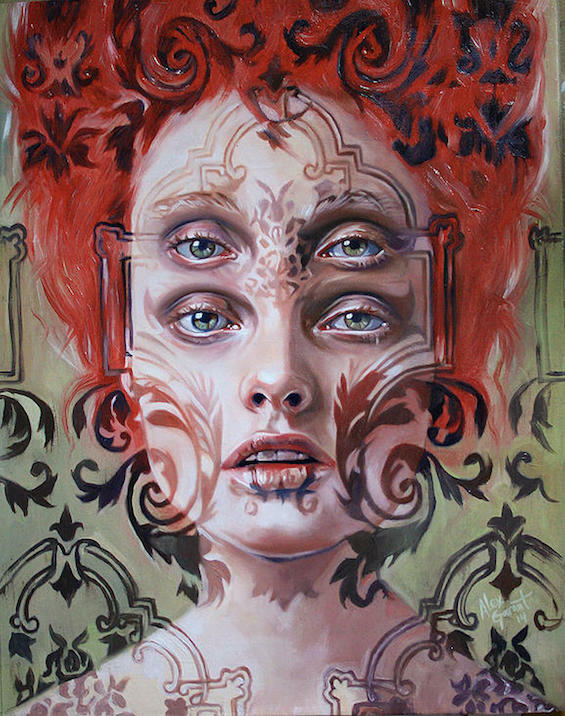 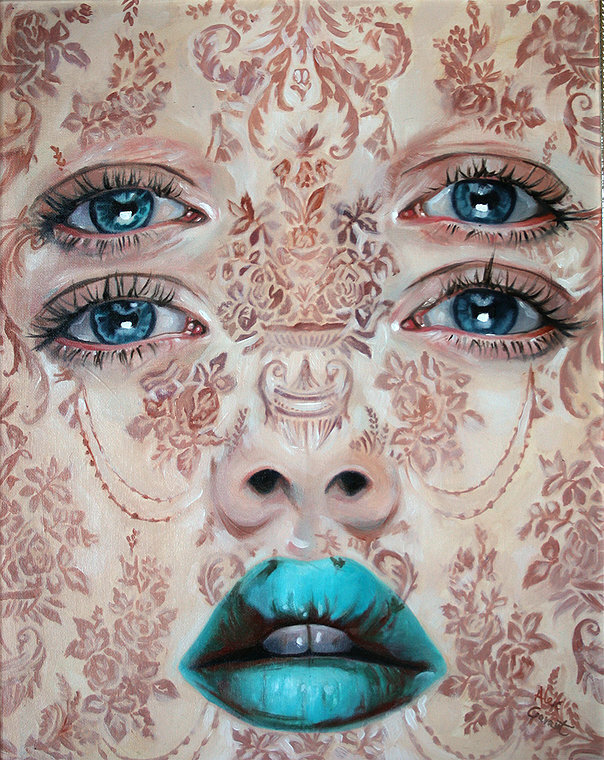 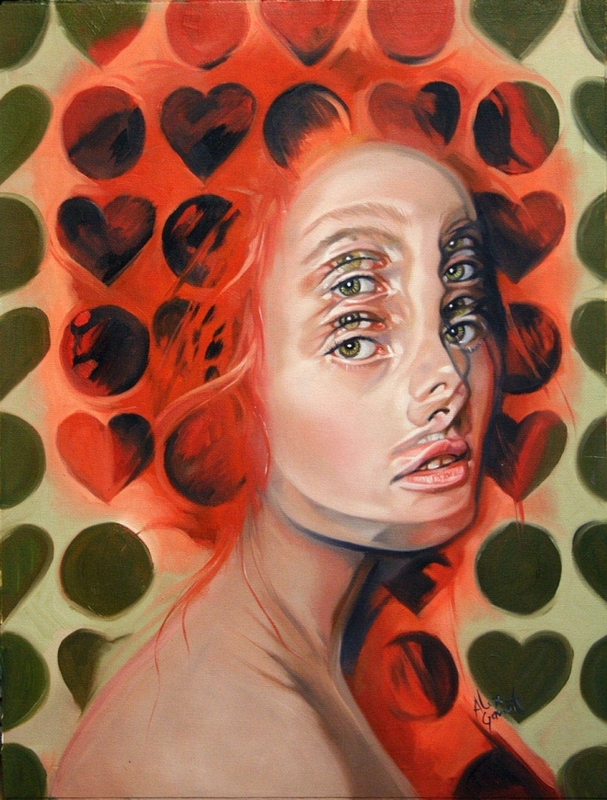 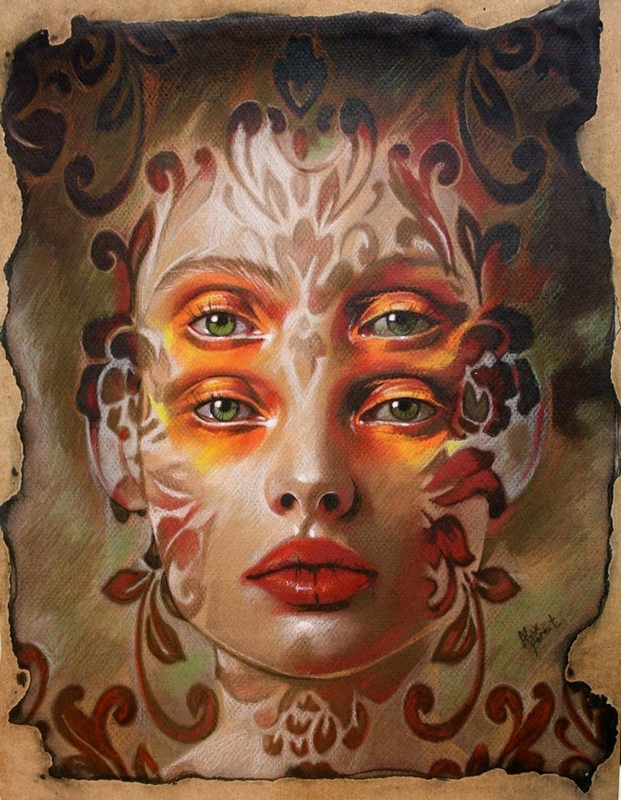 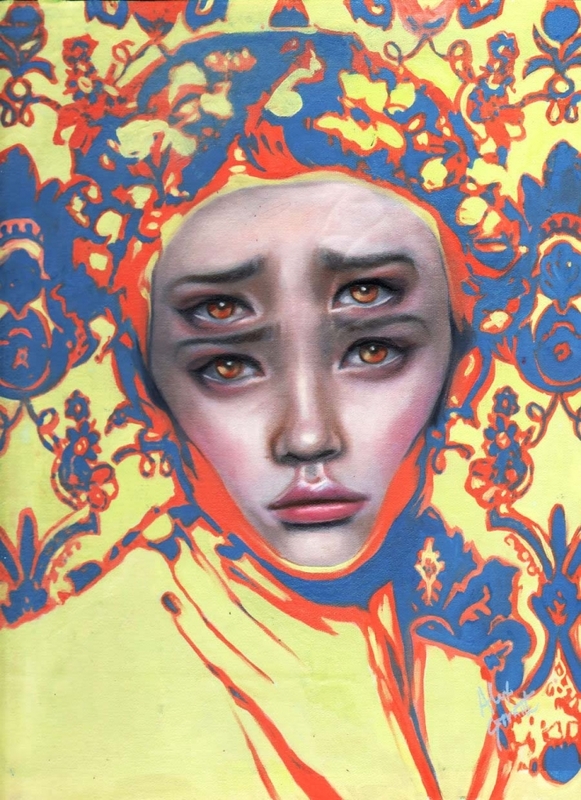 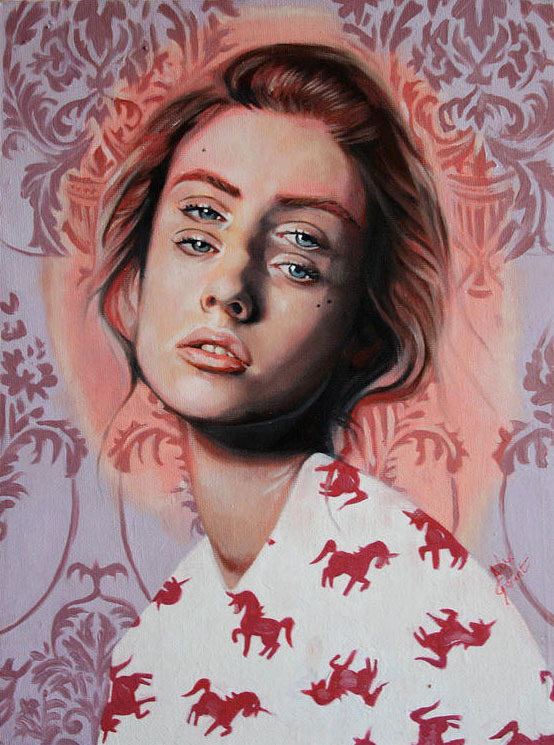 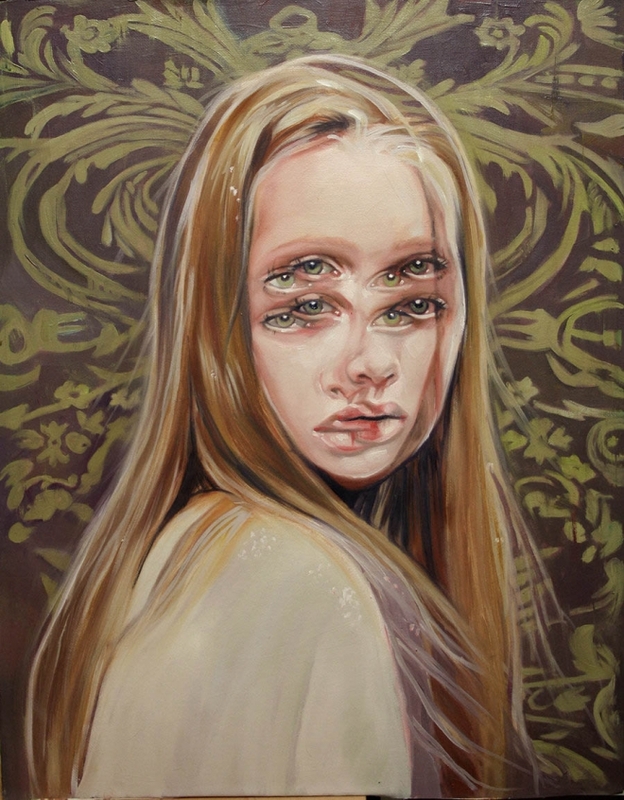 Alex Garant studied visual arts at Notre-Dame–De-Foy College and after graduation she settled down in Toronto, Canada.